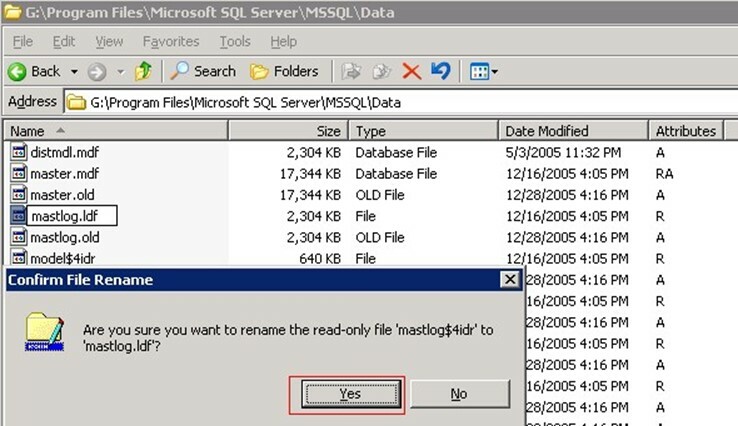 If you can still start SQL, you can restore the latest copy of the master database backup using the Automate master database restore option in the Backup Exec Restore Job Properties for SQL dialog box and then restore any other databases, if required. 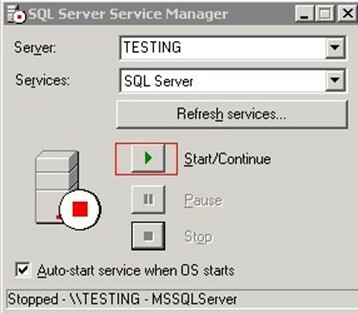 If the master database is critically damaged and SQL cannot be started, rather than running the Rebuild Master utility or reinstalling SQL to be able to restart SQL, you can replace the corrupt or missing databases with the copies of the master and model databases that Backup Exec automatically creates and updates whenever backups of those databases are run. A dialog box will be displayed, please select Yes. 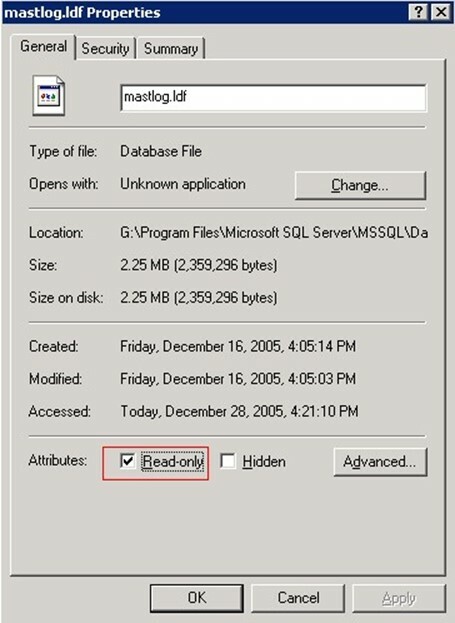 Note: If you do not remove the “READ-ONLY” attribute from the database and log file of the MSSQL Server, the SQL services will not start. 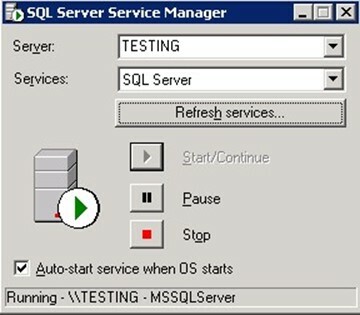 Once the MSSQL Server service is up and running, open Backup Exec and restore the master database file using the “AUTOMATED DATABASE RESTORE” method as explained below. 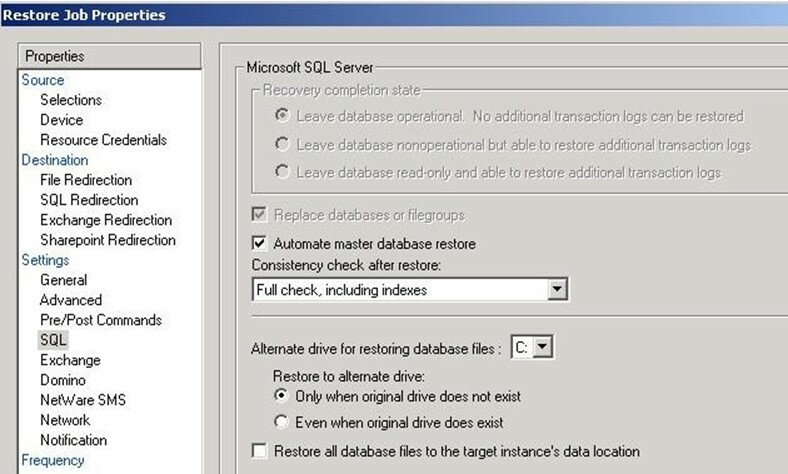 After SQL is running again, you can restore the latest copy of the master database using the Backup Exec Automate master database restore option, and then restore any other databases, if required. 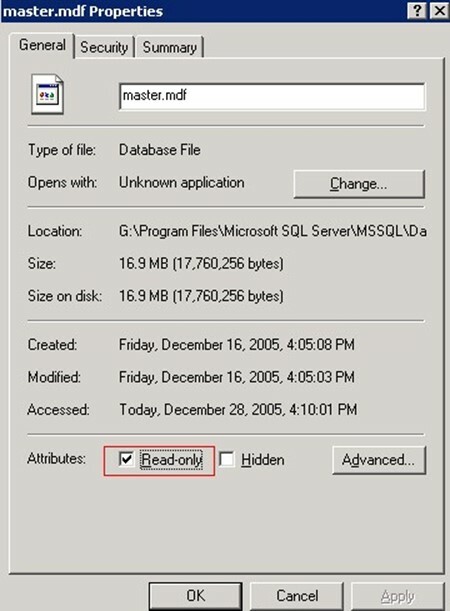 If copies of the master and model databases were not made, then you must use the Microsoft rebuildm.exe utility to rebuild the master database and start SQL. Because all changes made to the master database after the last backup was created are lost when the backup is restored, the changes must be reapplied. If any user databases were created after the master database was backed up, those databases cannot be accessed until the databases are restored from backups or reattached to SQL. for SQL will not work. Ensure that the account that Backup Exec uses has administrator permissions to the computer that is running SQL. 6. Select a consistency check to be run after the restore. 7. Start the restore job. After the restore, SQL is restarted in multi-user mode. Yazıyı paylaş "How to restore a Microsoft SQL Server Master Database with Backup Exec for Windows Servers (Automate Master Database Restore)"